Here is how you turn your foyer into a room that welcomes everyone that steps into your home! Apply stylish one of a kind wall decor onto the wall space in your foyer! 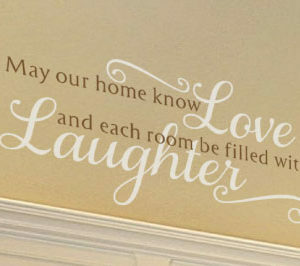 ‘May our home know love and each room is filled with laughter’ wall words from DecorativeLettering are a perfect example of unique wall decoration. They look amazing above the entryway that leads to the warm family room. The fireplace adds to the charm! From the landing above, the wall quotes are at eye-level. They are certainly the right size for this space: reading them will certainly not be a problem! The two-colored wall letters tie in to the color brown and white theme in the foyer and the room beyond. 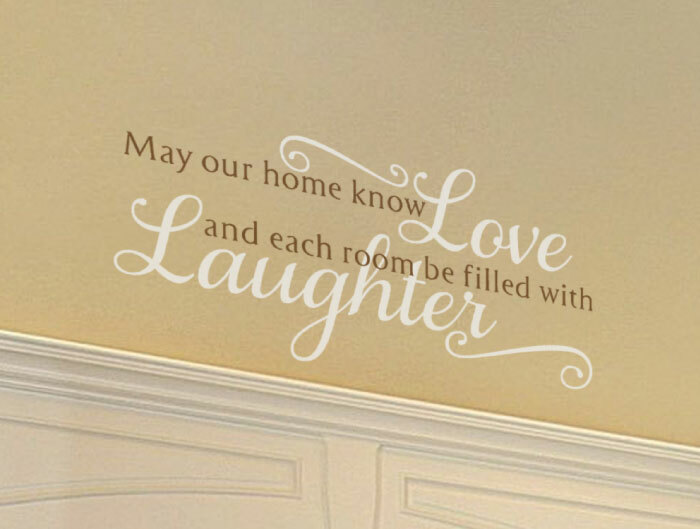 Your guests and family will appreciate the thoughtful decor in your home! Acquiring our wall quotes is easy on our user-friendly website. Pay us a visit! Select from our vast quote of libraries or submit your own. That alone ensures you get unique wall lettering! Our products are affordable. 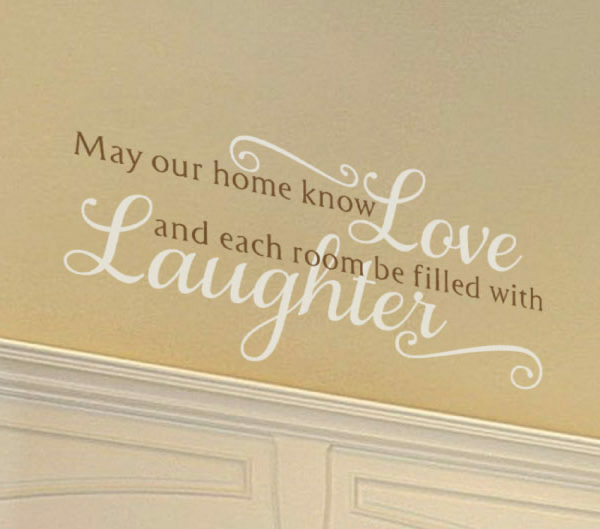 We have a customer awards program that makes it easy for you to buy more wall letters cheaply. Sign up! If you plan to apply onto wall spaces that have strong light, go ahead. We have matte wall lettering for well-lit rooms. This makes it easier to see and read without glare issues. Do get in touch. We would love to help you decorate your foyer!